NYC EDM festival Electric Zoo returns to Randall’s Island on Labor Day Weekend (8/31-9/2) for its tenth addition, and the lineups by day have now been announced. 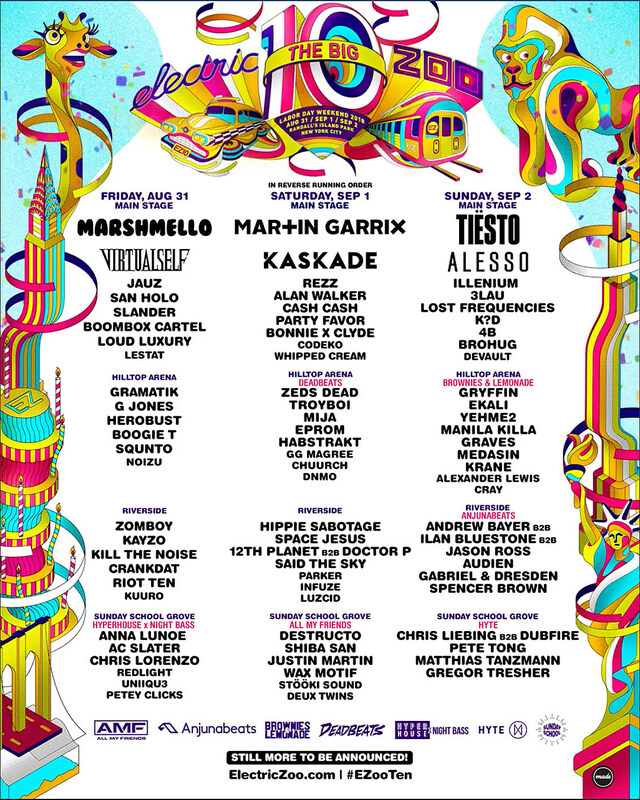 Friday (8/31) has headliners Marshmello and Virtualself, while Martin Garrix and Kaskade headline Saturday (9/1), and Sunday is led by Tiesto and Alesso. See the full lineups by day so far (there are more acts still to be announced) on the poster below. Tickets to Electric Zoo are on sale now. Check out pictures from last year in the gallery above.